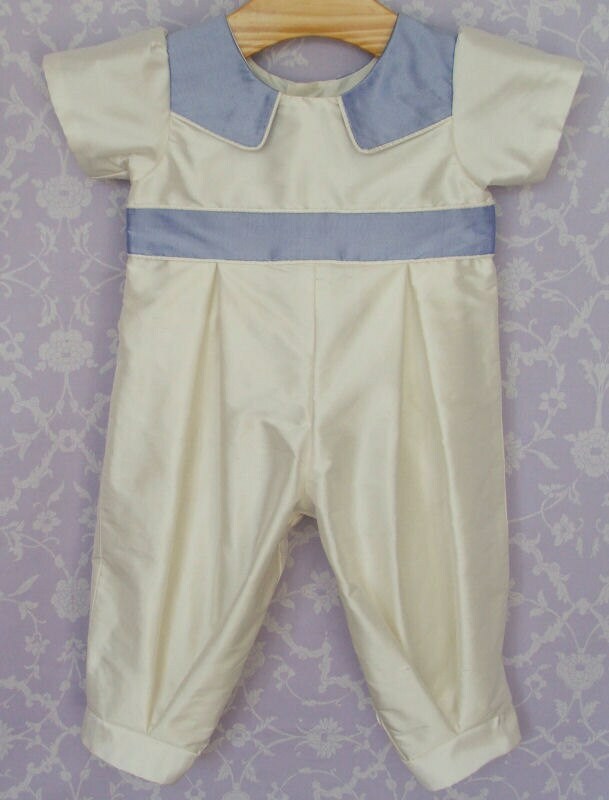 Any little boy would be proud to be photographed in this smart silk outfit. 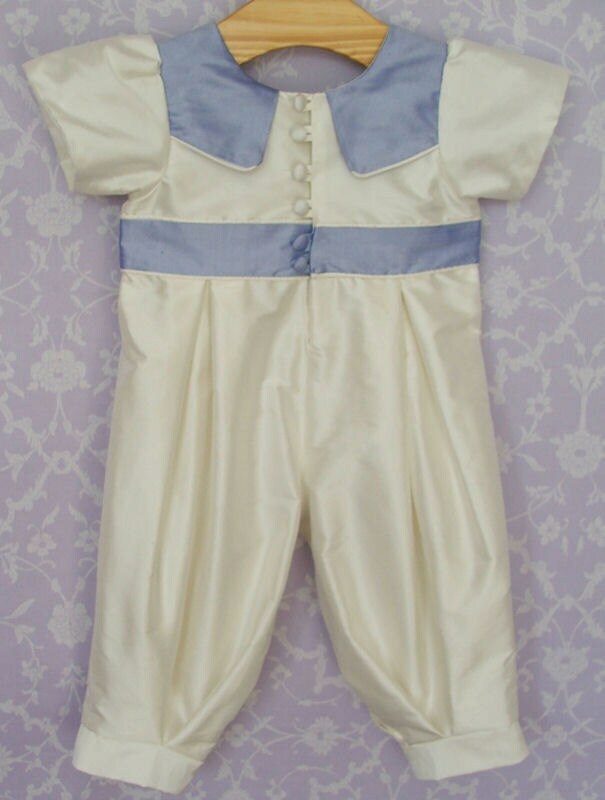 The all in one romper outfit features blue trimmings. 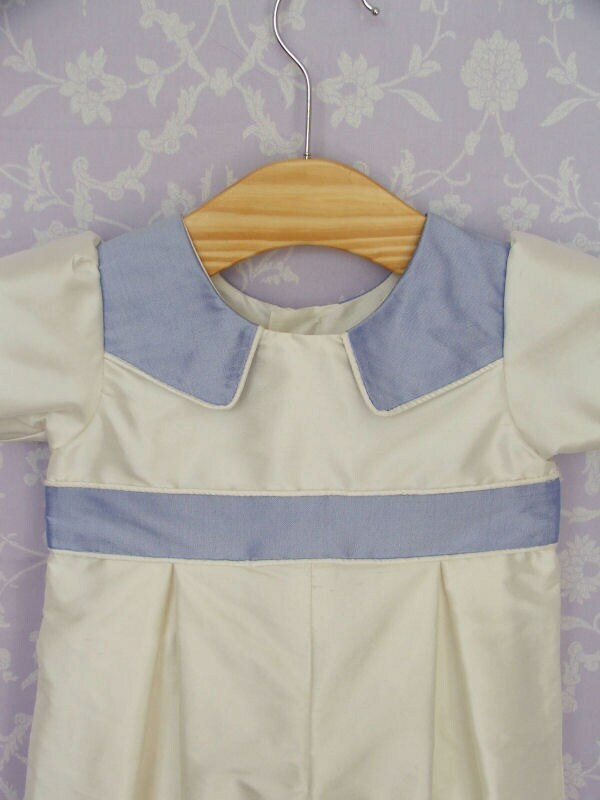 The top of the bodice has a blue silk inset section that is piped in very fine ivory silk cord. The section runs over the shoulder and forms a collar on the back of the outfit. 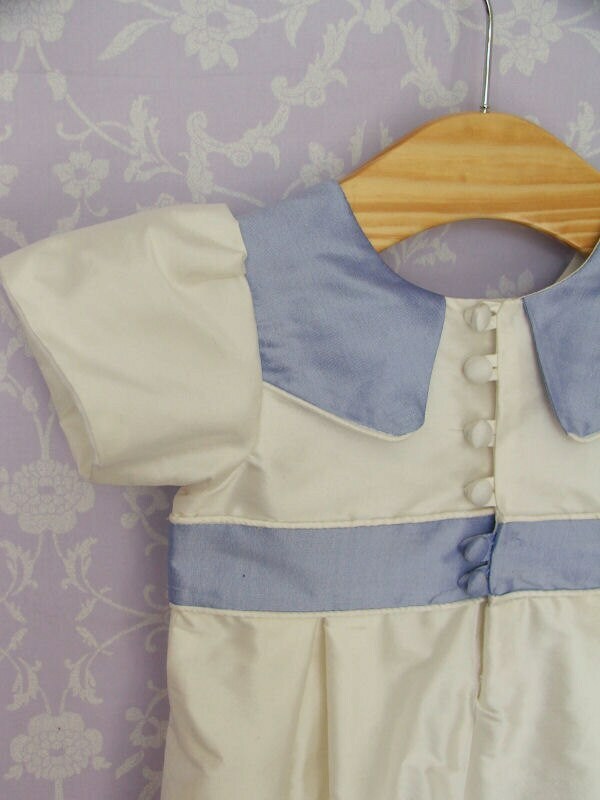 In addition the bodice has an inset blue silk waist trim, also trimmed in ivory silk cord. All very tailored and smart. Gives a little lad an outfit that is truly special.